The first time I had this salad was in Singapore. We were having lunch at my husband's best friend's favourite place to have Thai food in a local food court. (Side note: If you're in Singapore and want to try South East Asian cuisines, local food courts are the best way to do it!). We had a feast that day of Thai dishes I'd never even heard of in India. This was one of them. And of course, because of my love for raw mangoes and Thai flavours, it instantly became a favourite. This salad is a burst of flavours in your mouth. 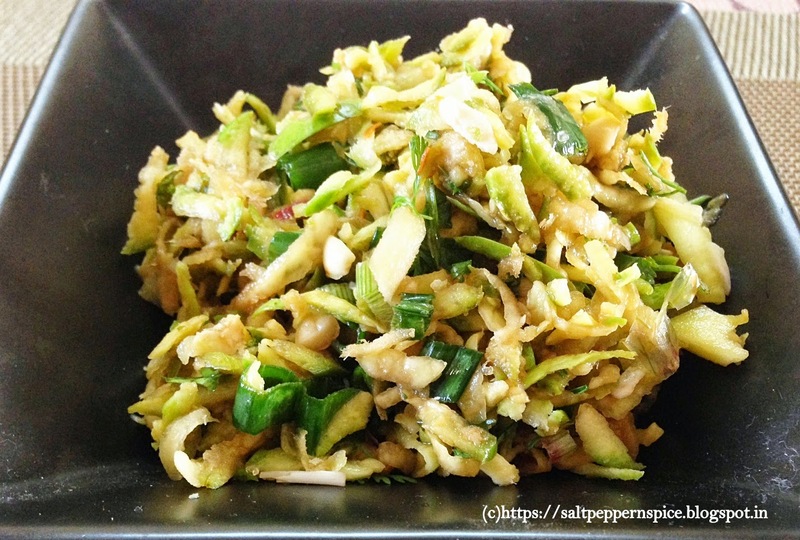 It has fruity sourness from the mango, saltiness from soya sauce, pungency from chilly flakes, spice from the garlic and spring onions and sweetness from sugar. It covers the balance of tastes and freshness of ingredients that lie at the core of Thai cuisine. 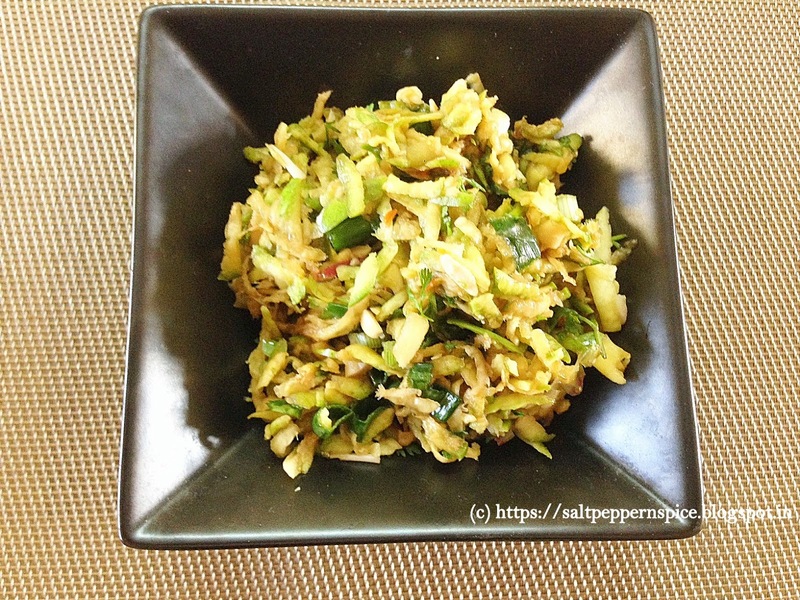 This salad makes for a great side dish to any Asian meal.You can serve it at barbecues too for an extra zing! Wash the mangoes well and julienne them. A large-sized grater works well for this. Thinly slice the spring onions and mix them with the mango. Deskin the roasted peanuts and break them roughly with your hands. Add this in to the salad mix. Whisk together the dressing ingredients. Pour over the salad. Mix it in well with your hands, crushing a little to bring out the flavours. Taste and add more sugar if the mangoes are very sour.